India has the second largest telecommunication system and there are more than 929.37 million mobile phone users in India as of 2012 (Reference: Wikipedia). Using this article you will learn how to trace owner name, location, operator of a mobile number inside India. I found several ways to trace mobile number but most of the websites, restrict the users to view the owner of the mobile phone. But soon i discovered a good website that shows even the name of the mobile number along with the map location. Special TIP : If you are looking for steamer , then here is our favorite best garment steamer 2019. We have reviewed many similar products in the market and sorted the best one for you. I likely found mine. See the below image. So i was just curious how did this website traced my number and i thought that as i logged in with my social network account it would have traced from it.So what i did was tried some other number which was not on any of my social networks and i got the result as below. Even thought the location of the number was incorrect I found that the owner’s name was absolutely right. I was wondering how did they get the details of a number which was not on any of the social networks? Finally, when i was staring at their page i found out a download link which allows you to download this application to the mobile phone. Ah!! Now it’s clear how they were able to fetch details. When someone downloads their application and install it on their mobile phone, this website truecaller scans all of their contacts from their mobile phone and saves them to the truecaller’s contacts directory. The website also provides you a small video clipping showing you how it’s done. If you feel it’s unsafe to have your name on their directory, then you can simply remove your number from their website by following the below procedure. 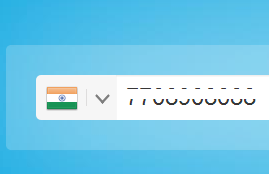 Select your country, type in your number. Enter the captcha and click enter. As you can see I have unlisted my name from true caller and when I searched for it again it said “No Match Found“. So far we have found the owner’s name using truecaller website, but the limitation with truecaller is that it doesn’t always shows the proper location of the mobile number. So to identify the mobile phone’s location and operator i have provided a better website from which you could gather your desired results. Enter the mobile number and hit trace, you are done. I hope you this article had made you to trace the owner’s name,operator,location of a particular mobile phone number and if you find this article useful, kindly share it. If you can’t trace mobile number name or location then kindly leave a comment below so that you might get name from our visitors. A person Stole money from me and I have his number, How do I track him? You need the help of police for this purpose as tracking the exact location using GPS is only possible by government officials. 2. A person is using his contact and blackmailing me, how should I trace him? What are you going to do after tracing him? This is a serious case where you need help from police. Contact them immediately! 3. Someone is using abusive words from random numbers, how can I find his name? Using one of the above mentioned service you can get his name but if the SIM card is new then the name might not be registered in the Truecaller database. 4.My boyfriend is messaging to a girl, Can I track the number using Whatsapp number? Whatsapp number of girls are 90% kept private but you can give a try by saving their number on your phone. 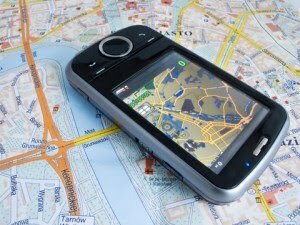 5.I lost my mobile phone and I want to trace where it is now, Is it possible? There are many ways to do this but the precautions must have been done before. There are few softwares that allow you to set a secondary phone number to be alerted when the SIM card is changed from your phone. If you have an iPhone you can use Find my iPhone Application and find the exact location if the internet is still turned on in your phone. 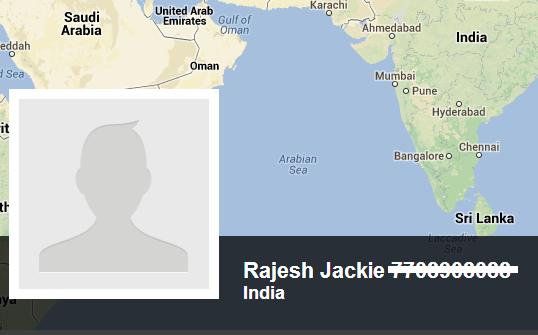 This entry was posted in internet and tagged trace owner name, tracking on Jan 29, 2019 by Rajesh. 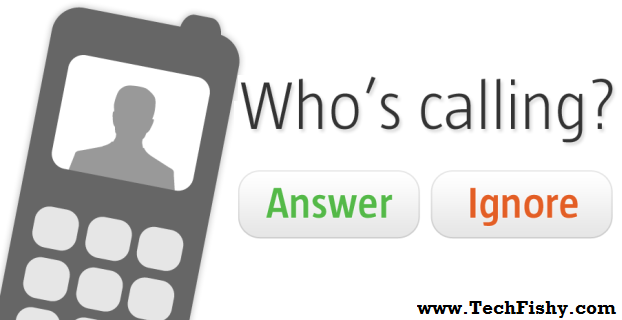 Do you want to find the person behind the call on your cell phone ? Then white pages reverse lookup is the best method to trace anyone who is calling you. Not only that, You can even trace their location, address and carrier using the reverse phone number, location lookup service online. These services comes for free as well as paid. Though both of them can work like a charm, I would strongly recommend you to stick with the paid versions. 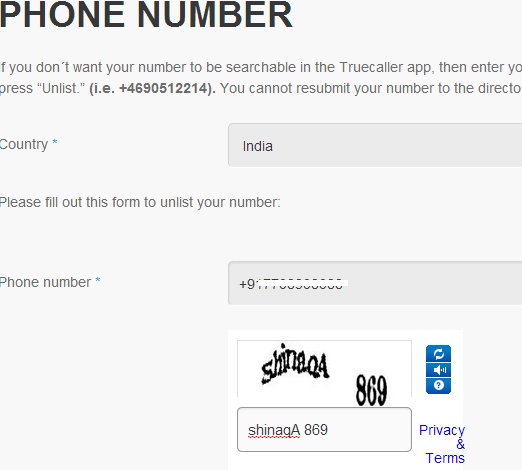 If you are from INDIA then kindly check this article to learn trace mobile number owner. 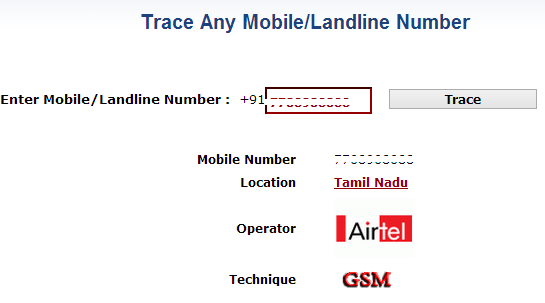 There are several online services that allows you to search/ lookup for the mobile number you want to trace. Here are few of the websites that allows you to do reverse phone look-up for free. These services offers you free mobile/ smart phone number and location lookup for free. Basically these services works either by collecting the phone number details from online social sharing websites such as Facebook, Twitter, Linked in, Google plus or Pinterest. Few of the number tracking websites will also purchase the mobile numbers form companies such as yelp, yellow pages and store them in their databases. How to Use Free White Pages Reverse Number Lookup on cellphone ? Go to this Link in the website : Reverse Number Lookup . Enter the phone number you wanted to look up in the search box. Mostly the phone number will be of 10 digits where they are preceded by the area code number. If there’s a result found then you will be shown something like the below picture which shows the name, area, location and the map of the given cell phone number. If there is no result then there will be an error message stating that the following number is not found on our database. This details might differ so cross check with the remaining websites that offer you tracing the person behind the phone call. Similar to the above method you can use the services to find the location and address on the map. For example use : www.whitepages.com and you will be provided an option to see the location to place the address like the below screenshot. Enter the proper address and city/state/zip code of the person in the second box and click on search button. If the entered details are correct then you will be seeing the address. Sometime you will be asked to pay for using their services and if the address and location which has been input was wrong then it doesn’t show any location. 411 and Anywho are the free services that states the area near United States, Canada and other nearby countries. If you want to do a free reverse phone lookup then these both are the best one for you. When you search for a mobile number from these websites they have a database stored with them or they make use of the yellow pages directories to list out the proper details of the number you are searching for. I’ve given a detailed procedure on how to trace and do white pages reverse lookup for free using the services and find the person name and address, location where he resides etc. If you have more websites that offers this services then share them in the comments section below. This entry was posted in internet and tagged free, reverse lookup, trace number on Mar 12, 2017 by Rajesh.